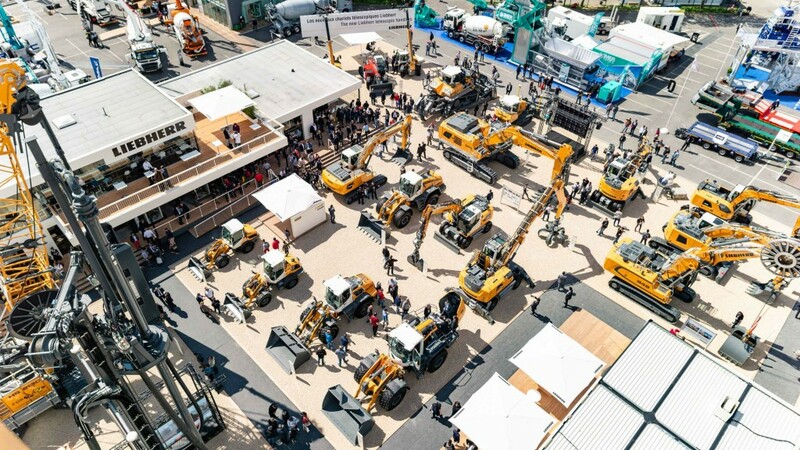 The Liebherr Group has broken the 10 billion Euro barrier for the first time in its history, with earthmoving equipment one of the company's top performers in 2018. Despite a slight decline in overall economic growth, 2018 was a record year for the Liebherr Group. Both the construction machinery and mining equipment divisions recorded overall increases in sales revenues, as did the other product areas overall. Revenues from construction machinery and mining equipment rose by 10.8 percent to € 6,833 million, with especially strong contributions from the Earthmoving, Mobile Cranes and Mining divisions. In the other product areas, which include Maritime Cranes, Aerospace and Transportation Systems, Gear Technology and Automation Systems, Domestic Appliances, Components and Hotels divisions, turnover rose by a total of 2.0 percent to € 3,718 million. Record sales generated in 2018 can be attributed to the very favourable economic conditions and higher demand in several sales regions. Sales continued to increase within the European Union, which is Liebherr's most important sales region. This can be attributed, among other things, to renewed growth in Germany, which is Liebherr's largest market, and to the positive economic situation in France and Great Britain. In the non-EU countries sales revenues fell in EUR terms compared to the previous year, mainly due to the development of the currency exchange rate in Russia. The business also performed very positively in North America, Central and South America, and Asia and Oceania, driven in particular by the markets in the USA, Australia and China. The Liebherr Group achieved a net profit of € 321 million in 2018, slightly above the previous year's level. The operating result remained stable compared to the previous year. The financial result declined, mainly due to negative effects of currency movements. As a high-tech company, Liebherr pursues the goal of making a decisive contribution to shaping technological progress in sectors relevant to the Group. Liebherr invested € 586 million in research and development last year. The bulk of this was used in the development of new products. A large number of joint research projects with universities, other higher education institutions and research institutes were initiated and continued. A special area of focus for this research project is the construction site of the future. For example, Liebherr started a development partnership with the RWTH Aachen within the framework of the Center Construction Robotics and is also involved in the "Construction 4.0" joint project initiated by the German Mechanical Engineering Industry Association (VDMA). Important issues across the wide range of products and services include, as they have done for many years, increasing energy efficiency, networking, automation and lightweight product design. One important project involves research into additive manufacturing processes in the aerospace industry. It reached a milestone last year by delivering the first mass-produced component using 3D printing. The Group is also forging ahead with e mobility initiatives, developing charging cable cooling units for charging stations and carrying out research into an electric turbo compressor for fuel- cell-powered vehicles. Outside Europe, Liebherr is investing in projects such as the development of the Newport News site (USA). The expansion of the crane, construction machinery and concrete technology divisions is intended to support the Group's long-term growth strategy in the US market. According to the latest projections, global economic growth is expected to continue to slow during the current year. However, there are no signs of an imminent recession. Demand in most regions and industries may develop very positively in 2019. Therefore, the Group expects sales revenues to continue to rise in 2019.